The Lodge at Roe Park is a newly developed self catering facility offering guests the flexibility of holiday rental while also providing a spacious and luxurious home from home. This girlie break is packed full of everything you need for a fantastic break with your ladies from only £59.00 per adult (min of 5 adults, max of 11 adults). The Lodge at Roe Park is a self catering facility offering guests the flexibility of holiday rental while also providing a spacious and luxurious home from home. 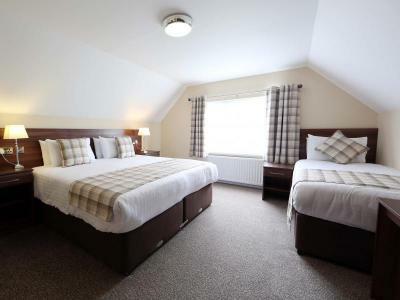 With 4 Double Rooms and 1 Triple Room, the Lodge can sleep up to 11 people in total and is a perfect option for families or groups who are attending weddings, or enjoying a girls retreat or golfing outings. Guests will also have complimentary full access to the hotels thermal areas including swimming pool, sauna, jacuzzi, steam room & gym.